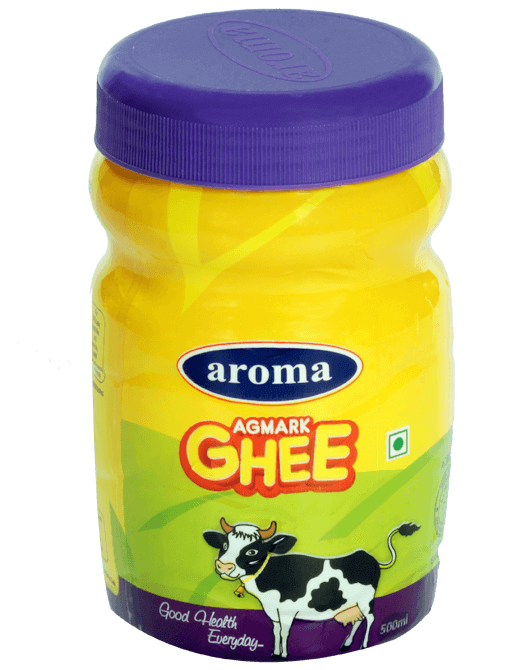 Brimming with good texture, flavour and taste, Aroma Ghee has the right consistency to please your taste buds. Rife with a uniform granular formation, Our Ghee is perfect for the India Palate in favourites like Biryani, Pongal, Dosa and Kesari Bath. Don`t miss out on this delicious ingredients in your cherished Mysore Pak, Halva and Ladoos.